New #Trecena Ruler Today: 1 Eagle (#Tzikin in Ki’che Maya, Men in Yucatecan). The #nahual Eagle was original called Bird, one of the first creatures created according to the Popul Vuh. Eventually it became known as Eagle, the most powerful of all birds as well as one with many esoteric meanings. 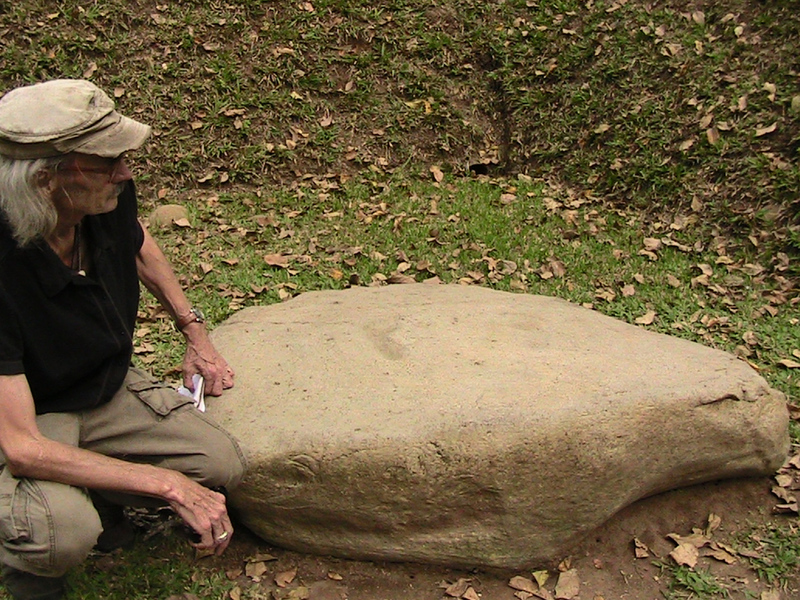 Shay Addams at an eagle altar at Olmec-Maya site of Takalik Abaj, Guatemala. Eagle, a sign of the West, emphasizes working with others. Yet the core meaning of Tzikin is business and money. Today, with the coefficient 1, is a beneficial time to begin a business or introduce changes to an existing. And also an excellent time to pursue new clients or contracts. Have a great Eagle trecena!